With the Eastern Conference Final now in the books, I know that we hockey fans have a great Stanley Cup final to look forward to, with the New Jersey Devils taking on the Los Angeles Kings. 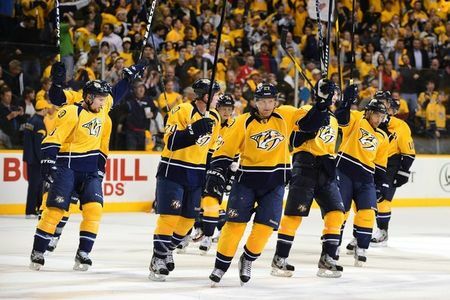 Both teams have performed admirably throughout the first three rounds of the playoffs, so a series with great goaltending and clutch goal scoring should very much be in the cards. In less than a couple of weeks, we’ll all know which team has won the Stanley Cup. Those of us tuning in will get to see what should only be described as the greatest team celebration in sports: when the winning team hoists Lord Stanley’s Mug, and one by one take their turn doing laps of the ice. That night will not be without a black mark though. Sure, fans of the losing team will go home disappointed, but that won’t be the only sour note. Only moments before the players get to live out their boyhood dream of celebrating a Cup win with their teammates, what’s become an annual tradition amongst hockey fans will continue to be a shameful embarrassment to the sport. I’m talking about the inane booing of NHL Commissioner Gary Bettman. I don’t mean to suggest that everyone should be happy with Bettman, certainly not all the time. While he has done a lot of good for the NHL, he’s also made mistakes. Everyone is entitled to their opinion, especially when you’re paying hundreds of dollars to be in the building – but when fans turn booing the NHL’s top boss into a Stanley Cup sideshow, they’re ruining a celebration. Make no mistake about it, this will happen again this year, regardless if the winner is on home ice or not. What makes the chorus of boos even more pathetic, most of the gripes fans have with Bettman are born of nothing but ignorance. We incessantly hear that Bettman is not a “hockey guy” and, in fact, is a “basketball guy”. I wonder if people realize how ridiculous that sounds. If the conversation is talking about Bettman as a kid growing up, or a young man finding his way in the world, the truth is he was neither. 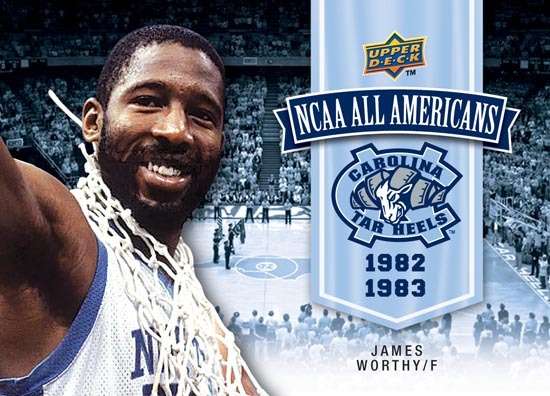 This is not a guy who was an athlete in his youth, be that basketball, hockey, or anything else. Professionally, he’s a lawyer. A graduate of Cornell University (a school that’s done pretty well producing other “hockey guys”, like Ken Dryden & Joe Nieuwendyk) and having a law degree from New York University, Mr. Bettman was primed for a career as a lawyer. 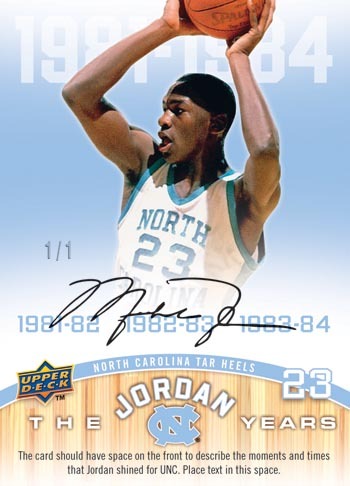 A career he started by working for a law firm for four years, before joining the legal department of the NBA in 1981. Of course this is what likely fans point to when they call him a “Basketball guy”. His second job after graduation was with the National Basketball Association. 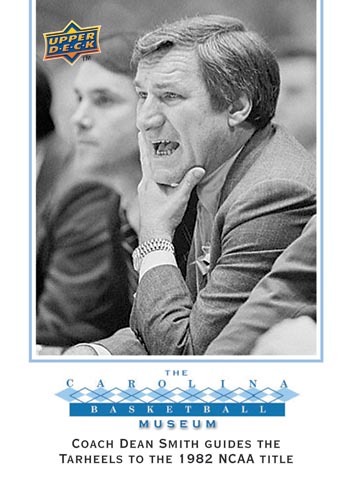 One he excelled at, and rose to be general counsel to the league, as well as Senior Vice President. After nearly 12 years on the job, Bettman received a new offer: to become the first commissioner of the National Hockey League. If I were to be writing this story in 1994, with Bettman barely past the one year mark of his tenure, calling him as “basketball guy” may have been justified. Certainly insisting that he wasn’t a “hockey guy” would have been. With only a year of hockey experience under his belt, and over a decade of working for the NBA, anyone would have been (at least sort of) correct in making that point. Still not a "hockey guy?" The problem now is that this is not 1994. This is 2012. Gary Bettman has been at his post for a little better than 19 years. Surly anyone capable of even a little bit of critical thinking can acknowledge that with nearly two decades of running the NHL – Gary Bettman became a “hockey guy” a long time ago. I would challenge anyone to cite what exactly it is that Gary doesn’t know about hockey. How the game is played? Please. After 19 years on the job, this man understands the most subtle nuances of the game. Hockey’s rich history? He’s done nothing but continue to honor it, while doing his part to write new chapters. NHL fans under the age of 35 can’t even honestly lay claim to really remembering a time when he wasn’t in charge. Of course there will be those that will tell you that you have to have played the game to understand it, and that’s one thing that Gary will never be able to lay claim to. The whole notion is a bunch of malarkey. You understand things by observing, by studying, and yes – by doing. He can’t lay claim to the last one, but I suspect that there are few people on earth that have done the other two more than he has. An understanding of the game? He understands it a lot better than all the beer league players that claim he doesn’t. Next we have the idea that Gary is responsible for expansion, the supposed watering down of the NHL’s talent pool, and any perceived problems that have come along with it. The fact is owners like Mike Ilitch (Red Wings) or Jeremy Jacobs (Bruins), influential members of the board of governors, have much more to do with it. 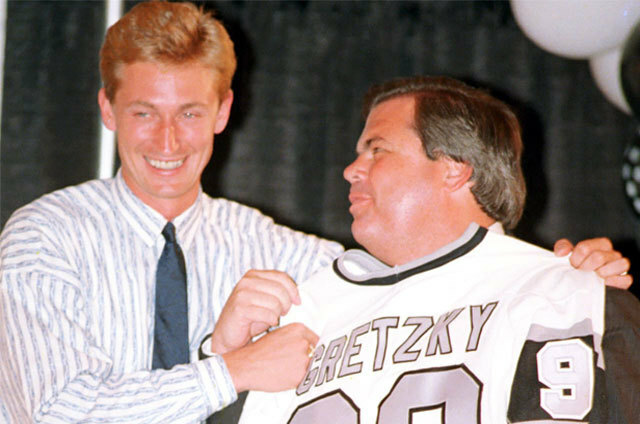 Heck, disposed Oilers owner Peter Pocklington, and his trade of Wayne Gretzky to the Kings, may be the man whose hands had the most to do with the expansion of the 1990s. The NHL was a 21 team league in 1990, and with the use of about 30 seconds of one’s time on Google it’s easy to see that the majority of the 1990s expansion was already done before Bettman even took the job. 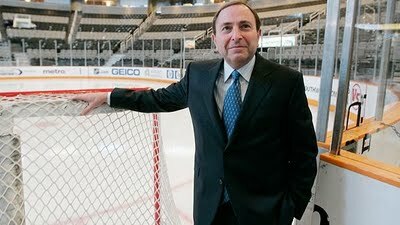 The San Jose Sharks, Ottawa Senators, and Tampa Bay Lightning were already in the league when Bettman was hired. The decision for the next two teams (Florida Panthers, Anaheim Mighty Ducks) was already made before he took office. Of the 9 new teams that hockey fans saw via expansion in the 90s, Mr. Bettman was only involved in awarding four of them. His involvement, of course, was by design. The reason that his name was chosen as NHL Commissioner should be obvious. The league wanted to hire someone that knew how to market sports in America. To grow the game. Something he knew very well. The most crucial task of the early years of his tenure was to find four more markets to expand to. For all the criticism he’s taken for having a southern bias, Bettman certainly never showed it with his expansion choices. While he did oversee the new teams in Nashville & Atlanta, he also saw fit to award teams to Minnesota & Columbus. The latter two can hardly be described as southern. If you’re unhappy that there was expansion, nobody is going to be able to do much to convince you that it was a good thing. It certainly wasn’t without its issues, and many teams (like most expansion clubs in most sports) went through growing pains. One (Atlanta) was has since been uprooted, and another (Columbus) has never really had any kind of success. Some still argue that the league has only gone downhill since those 9 new teams came along. Regardless of what you thought of expansion, Bettman was responsible for only 44% of the new teams he seems to get all the credit for, and he was specifically hired to do that. His bosses (the NHL Board of Governors) wanted it. 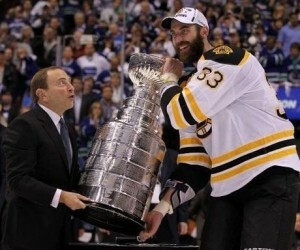 In Canada, Bettman is met with even more hate than he is in the USA. Why? Because a large portion of Canadian Hockey fans think he has it in for Canada. He doesn’t like Canada, doesn’t want so many Canadian teams. He’d prefer to see Canadian Clubs relocate to the United States. This, of course, is born from the fact that both the Quebec Nordiques & Winnipeg Jets relocated to southern American cities while Bettman was also executing the final phase of the NHL’s 1990s expansion. What hockey fans never seem to be able to offer though, is a suggestion as to what Bettman should have done differently. Both teams had owners that could no longer afford to lose money on their teams. They were playing in archaic rinks, and dealing with a 65 cent dollar. After years of bleeding money (despite good crowds at the games) they could no longer lose money, and threw the proverbial keys on the table. “NHL hockey was meant for cities like Winnipeg & Quebec” argue Canadians hockey fans everywhere, but the fact is that the increased costs of doing business, and a low valued dollar, meant that there wasn’t a single buyer willing to step up and pay to keep either of those teams in town. Gary & the league didn’t have any choice. Allowing the franchises to be bought by deep pocketed American owners was the only move they had, save for folding the franchises. Winnipeg left for Phoenix, and Quebec for Colorado. Bettman was to blame, but not the team’s owners. Certainly not perspective owners that knew team ownership in either of these team’s would have cost them millions per year to keep afloat. Of course the notion that Bettman wanted to move Canadian teams south overlooks what happened to both of the WHA cousins of those two relocated franchises. Hartford Connecticut was also the victim of an aging arena, and an owner who couldn’t keep up with the economic boon that the NHL was in. Like the Nordiques & the Jets, the Whalers were sold and moved to Raleigh North Carolina, where they become the Hurricanes. Hartford proves that it wasn’t just a Canadian problem the NHL had. It was low revenue teams that couldn’t keep up. The idea that Bettman has some anti-Canadian bias should be completely dispelled when the conversation moves to that of the Edmonton Oilers, the fourth team from the 1979 WHA merger. The Oilers had much more success than the other ex-WHA teams. With 5 Stanley Cup in their first 10 NHL seasons, they were one of the most dominant teams ever assembled. After reaching the pinnacle of success, they became an example of what poor ownership can do to a team. 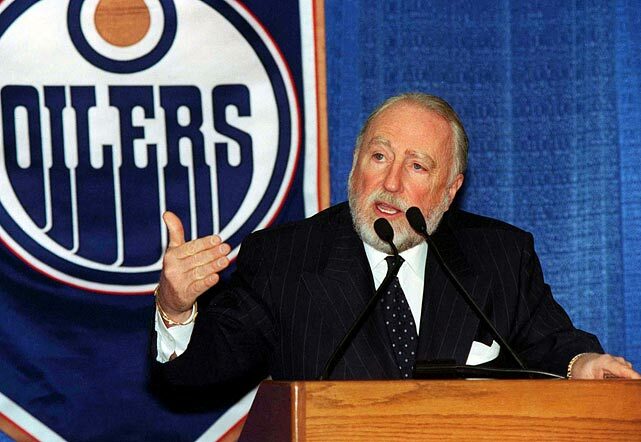 Oilers owner Peter Pocklington sold off Wayne Gretzky, drove away stars like Mark Messier & Jari Kurri, and the combination of a hated owner, a losing team, and low dollar meant the team was in trouble. Since virtually all of Pocklington’s other businesses were also doing poorly (the ones that hadn’t already been seized by creditors) he was forced to sell the team, and was looking for the highest bidder. Where they wanted the team to play was of little concern to him. Pocklington’s alleged choice of a sale partner was to Les Alexander. A billionaire located in Texas, Alexander already owned the NBA’s Houston Rockets, and wanted to add the Oilers to his growing list of assets. What did Gary and the NHL do? They blocked the sale, they delayed the sale, they did everything they could to slow the move down. 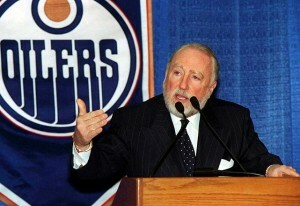 Then he worked with a group of nearly 40 investors local to Edmonton, and facilitated the sale of the team to them. The Edmonton Investors Group (commonly referred to as EIG) bought the team from Pocklington, and ran it for over a decade until a sale to current owner Daryl Katz. Bettman never had a bias against Canada. Winnipeg and Quebec didn’t leave because he wanted them to, they left because there was no other option. The only difference between them and Edmonton is that Edmonton was able to find another option. Furthering the point that Commissioner Bettman has no bias against Canada, look at what transpired between the 2010-11 and 2011-12 seasons. A similar situation occurred in one of the expansion cities he presided over: ownership in Atlanta could no longer afford to keep losing money. They wanted out, and were unwilling to continue to run the team. The result? The Atlanta Thrashers became the Winnipeg Jets. Bettman worked with a new ownership group to move the struggling team north of the border. Somehow this move never once stirred up accusations of a Canadian bias, or anti-Southern bias. The relocation, or folding, of a franchise has got to be the low point of the tenure of any league commissioner or president. It does mean the league failed the fans in that city. They couldn’t create a business model that worked for all teams that played. If what happened in Winnipeg, Quebec, Hartford, and Atlanta is to be held against Bettman’s administration, that can certainly be constructed as a valid point. It should be noted, however, that virtually all of his predecessors has similar issues to deal with. The only two NHL Presidents who didn’t see a franchise move (or fold) during their tenure were Gill Stein (Bettman’s immediate predecessors, who was President of the league for only a year) and Red Dutton: NHL President from 1943-46. Hardly men who had any kind of legacy, other than that of a caretaker. Even his peers in other have suffered through the same uprooting, with MLB, NFL, and NBA teams leaving their locals during the same time period. The reality of this business is that the NHL has cyclically gone through hard times, and they’ve lost teams because of it. Atlanta won’t be the last team to suffer this fate, nor will Bettman be the last commissioner to preside over a team leaving town. Bettman is also heavily criticized for “changing the game”. Fans complain about too many rule changes, breaking away from long standing traditions like the red line, deciding a game via shootout, the fight-discouraging instigator penalty, or even the rebranding of divisions & conferences. I will not pretend to be a fan of all those moves. I think the shootout, while very entertaining, is a horrible way to decide a game. I think it’s silly that the Campbell & Whales trophies go to the Western & Eastern conference winners. I also believe that most of the changes have been good for the overall growth of the league, even when I may not like them. We hockey fans should count ourselves fortunate that “hockey purists” have never really been able to have their way for too long. Otherwise, we might still be playing the game with a rover on the ice, and the forward pass might still be illegal. Ridiculous comparisons? Not really. Think about how different hockey would be if each team iced six skaters instead of 5. Think about how illegal forward passing would impact the game. Those were seismic shifts in how the game was played in their time. Compare that to a shootout, and the Bettman-led changes look relatively minor. Truthfully, I think more changes are needed. An outright ban on contact to the head needs to become something that is enforced with suspensions. Fighting should result in an immediate match penalty. The rinks the game is played on should be expanded to meet the international game’s dimensions. Revert the ending of power plays on a goal. Facial protection needs to become mandatory. Major changes like this need to be considered by the NHL, to improve player safety and the overall entertainment value of the product. Is the shootout really that bad? I will not claim to think that Gary Bettman has done a perfect job as league commissioner. He hasn’t. Nobody could hold that job down and be perfect. His overall performance? It’s been pretty darn good. Fortunately for him, it’s not the fans he needs to keep happy. It’s the owners, and since they keep renewing his multi-million dollar contract, I have to believe that most of them would agree with me. I’m not saying that everyone should like Bettman, I’m just suggesting that he should be given much more acknowledgement should be given for the positives he’s brought, instead of only focusing on the negatives. When he makes public appearances, like the one he’s gearing up for at the end of the finals, I just wish fans would show a little more respect for the Bettman, the league, and this game, and either cheer on their team as the Cup is presented, sit in silence if their team was just defeated, or just get up and leave the building. Stop embarrassing hockey fans everywhere. Print article This entry was posted by 30ranfordfan on May 30, 2012 at 8:07 pm, and is filed under Contest Articles, Hobby News, NHL. Follow any responses to this post through RSS 2.0. You can skip to the end and leave a response. Pinging is currently not allowed. Needed to draft you that bit of note in order to say thanks as beofre regarding the unique ideas you have featured here. It’s certainly pretty generous of you to supply freely exactly what many people could possibly have made available for an e-book to help with making some dough for their own end, mostly given that you could possibly have tried it if you desired. These guidelines additionally worked like the easy way to be certain that other people have the identical eagerness the same as my personal own to know very much more related to this problem. I am sure there are many more fun occasions up front for individuals who read carefully your blog.